Hey there! I'm back for the third part of blogging with kids! We've already talked about the various platforms for blogging with students and taken a look at the dashboard of Edublogs. 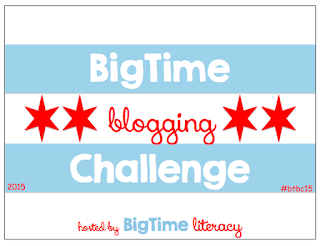 Today, I wanted to talk briefly about what the kids will be doing when they sit down to actually get started with blogging. After all accounts are set up, give kids their user names and passwords. Let them log in and then first thing, have them write a post. You don't want them to begin changing around their themes and layouts until there is a post up - this way, they'll be able to tell what headings and titles they are changing around. Hopefully they will have no trouble writing their first post, talking about how they came to the blog and what their expectations are. If they need a little prompting, perhaps you could provide a brief survey to prompt them for writing, knowing that your goal is to get them to generate their own ideas as soon as possible. After they have done a blog post, they are ready to do some design work. 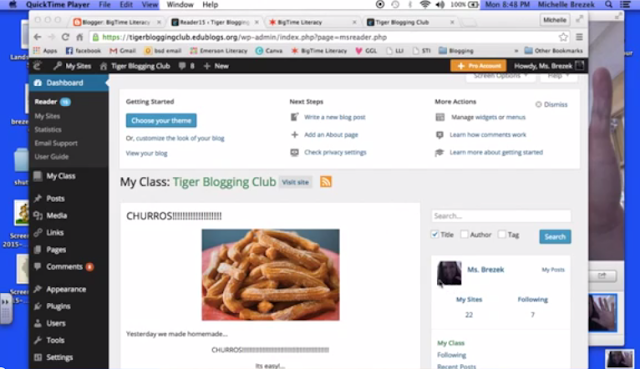 Take a look at this short video to see how to change the avatar, change the theme, customize it, and also, teachers can see how to use the report tool to gather information about how often kids are posting and commenting. Good news: Tomorrow's post is already scheduled to be up 2 hours from now!